WKRP in Cincinnati was an American sitcom about the misadventures of the staff at a struggling fictional radio station in Cincinnati, Ohio. The show was broadcast on CBS from 1978 to 1982. The font used for the title of the TV show is Souvenir Bold Italic. The Souvenir typeface was originally designed by Morris Fuller Benton for ATF and then redrew by Edward Benguiat for ITC. The ITC version comes in four weights with italics. The Souvenir font identified above is not available for free, please follow the link above and purchase the font. Meanwhile, you can take a look at our collection of fonts for cars, pop music and apparel as well as round-ups of new & fresh fonts around the web. 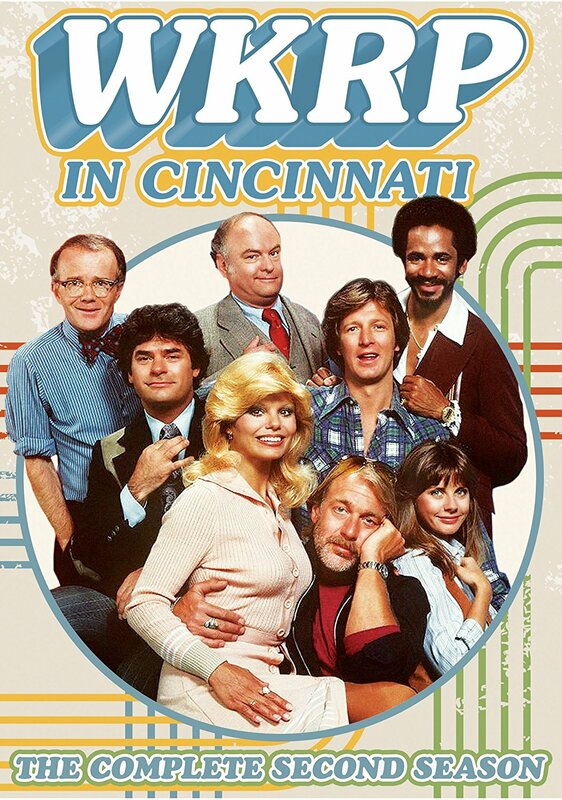 In addition to WKRP in Cincinnati, Souvenir typeface is also used in the following logos, movie posters or album covers etc., including: The Color Purple, E.T. the Extra-Terrestrial, Videodrome (film), Showcase, Golden (Kylie Minogue), Astroworld Tour, Hormel Spam Logo.